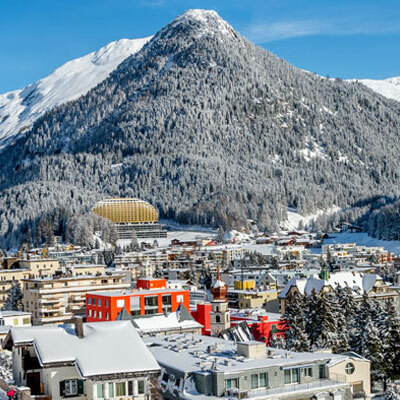 Located in Davos Dorf, Tivoli Lodge, boasts more than 700sqm of luxurious living space. Its tasteful traditional exterior merges seamlessly into a classic yet contemporary interior, all within a quiet rural setting. This extensive seven bedroom lodge offers spectacular south facing views of the Engadine Valley. With its many south facing balconies, it's the perfect place to sit, relax and take in the fresh mountain air. Each en-suite bedroom has been carefully tailored, each around highly individually selected artwork and decor. Just lay back and watch a movie on the Apple TV, or use our luxury Ortigia products to enjoy a languid soak in the bath. Our Spa awaits after a day on the mountain. Unwind in the steam room, sauna or jacuzzi. Take a swim in the spectacular pool or simply relax on our loungers, let the Tivoli team serve you champagne from the comfort of the wellness area or even arrange an in-house massage. At Tivoli Lodge, we pride ourselves on our 7* service and understand that exclusive holidays are something to be savoured. We have carefully selected a team of professionals who are on hand to deliver the very best service and ensure that the discretion and professionalism is at its finest every step of the way. Our manager will be in touch before your stay to ensure that every requirement, small or large is arranged. 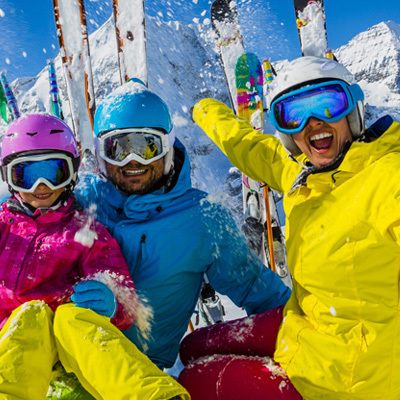 From your own ski guides, excursions, or simply your morning tea requests, nothing is too much trouble. Our Michelin star trained chef is on hand to create gastronomic magic, from tasting menus to home cooked family classics. We understand that food is a very important aspect of your stay. Tailor made menus are designed purely around your preferences and we are here to accommodate any dietary requirements that you may have. The two Tivoli Lodge chauffeured vehicles are at your disposal throughout your stay. Courteous, skilful and alert to safety, our drivers have passed a comprehensive training programme and are always flexible to fit around your plans. All our staff have a genuine passion for delivering the finest hospitality but in a very self effacing fashion. Almost pre-empting your wishes is what we do best. Let Tivoli Lodge become your home away from home, and relax in the knowledge that every aspect of your holiday is taken care of. 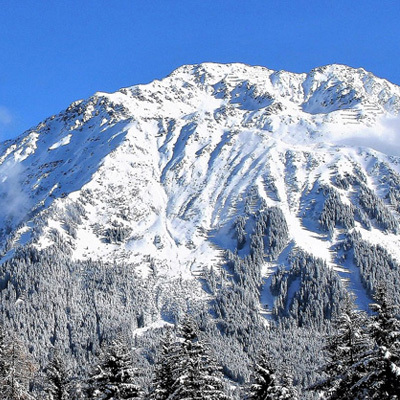 The mountains are a truly magical place, and for younger guests a fairy tale holiday. Whether your family is just beginning, all grown up or somewhere in-between, Tivoli Lodge is the perfect place to base your holiday. The Lodge was designed with children in mind, their safety and enjoyment at the forefront of our vision. If anything, tempting the younger guests to leave the Lodge may be tricky! The main attraction, a two-storey ice castle, a designated soft play area on the lower ground floor. Fitted with discrete monitoring cameras, it allows the children to play with abandon but gives their parents the added assurance of keeping a careful eye from the comfort of their bedroom. In addition, the TV Lounge offers a full selection of movies, board games, Xbox, Wii, puzzles and toys. If we don’t have a movie of their choice then feel free to download from the Apple Movie store! Our spa, a tranquil relaxation area can also be turned into a family fun zone in seconds, with inflatable toys, pool games, a fountain and water jet. The pool is also heated to 31 degrees and is shallow in depth, creating a safe and comfortable environment. The fairly-tale doesn’t end at bedtime, the designated children’s bunk room sleeps 6 and continues the magical experience. Along with our extensive selection of children’s books, they’ll be asleep and dreaming within no time. For those travelling with tiny ones, let us take away the hassle of flying with bulky accessories. The Lodge is fully equipped with high chairs, cots, prams, baby baths, sterilisers, bouncy chairs and much more. We will also buy in any supplies you may need from nappies to formula.